For toilets used for urine. If you only use your portable toilet for urine, then you need JustWee! This specially formulated, highly concentrated organic treatment, digests urine and leaves your toilet fresh and odour free. Suitable for all porta-potties, cassette & cartridge style toilets and black water holding tanks, in BOATS, CARAVANS, RVs, MOTORHOMES, just used for urine! JUST ONE APPLICATION PER TANKFULL. 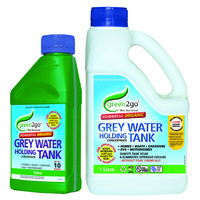 NO repeated treatments are required until your tank is emptied! See 'Specifications' for dose rates. 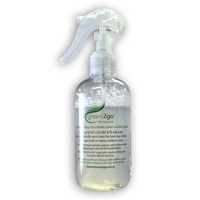 Prior to first use: Green2goTM contains beneficial bacillus bacteria that will die if mixed with chemicals. Prior to use, flush thoroughly with water to ensure holding tank is clean of any residue from previously used chemical products. Bowl & Toilet surface cleaner: Chemical bowl cleaners and wipes contain chemicals that will destroy the 'good' bacteria in Green2goTM Concentrates. We recommend adding 20ml of G2Go Just Wee to a clean spray bottle and fill with water. Shake well and use as a general surface and bowl cleaner to keep toilet clean and smelling fresh. Ideal for use with the Airhead Marine Composting Toilet: Use in urine tank and as a bowl spray. Chemical FREE! Safe for you - and safe for the environment! Works with fresh or salt water flush. Bowl atomiser is available here. Storage: Our products contain live bacteria strains - not chemicals. Please store below 40C away from direct sunlight, for no more than 2 years from batch date. If liquid becomes discoloured, this is an indication that the bacteria is nolonger active. 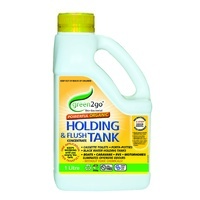 Add 60ml (1/4 cup) per 20L tank capacity, to a clean toilet cassette or holding tank. Add 20ml to the flush tank (optional). Alternatively, use the product in an atomiser to spray bowl area. Apply a 'flush' to add water to the holding tank, to activate. 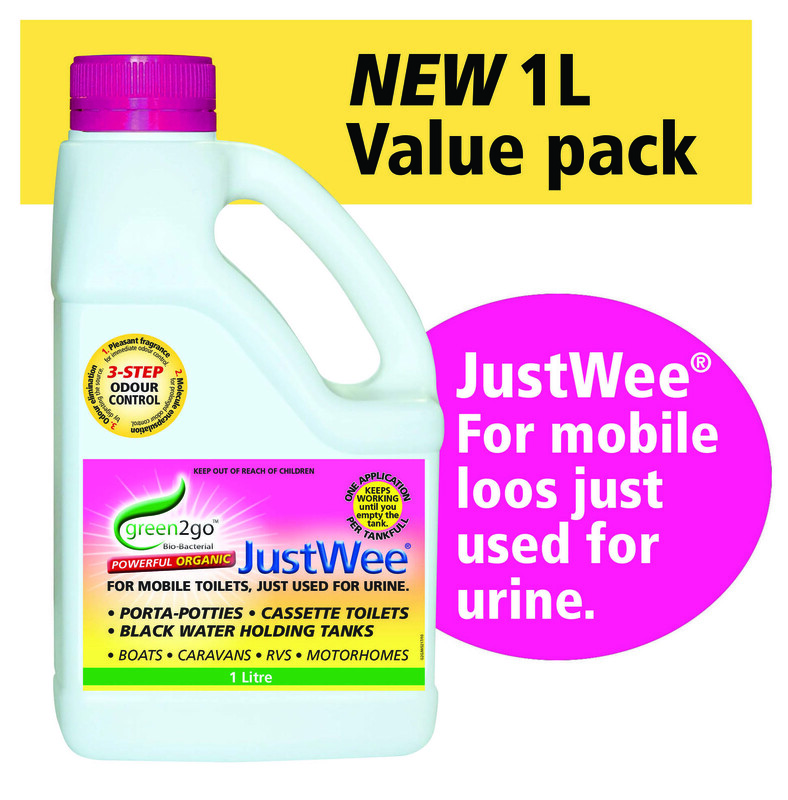 Add 10-20ml to the urine tank to eliminate stains and urine odour. Add 10-20ml to an atomiser and fill with water, and use as a seat and bowl spray.